A reverse takeover is effectively the acquisition of a public company by a private company whereby the private company bypasses the lengthy and complex process of going public. There have been a number of recent media reports of Stocks & Securities Limited’s (“SSL”) acquisition of the majority shareholding in C2W Music Limited (“C2W”). Many reports have described this transaction as a “reverse takeover”. Specifically, however, this transaction was executed as the first ever “rescue operation” under the Jamaica Stock Exchange (“JSE”) Junior Market Rules. Given the novelty of the transaction, we have set out in this article the basics of a “rescue operation”. Generally, under the JSE Junior Market Rules (“Rules”), when a company seeks to effect a “takeover” of a listed company, the company is required to make a mandatory offer to acquire the shares of all the shareholders of the listed company. A takeover is defined in the Rules as a transaction or series of transactions whereby a person, or persons acting in concert, directly or indirectly, acquires 50% or more of the participating voting shares or control of the corresponding amount of voting rights, of a Junior Market Company. The Securities (Takeovers and Mergers) Regulations (“Regulations”) contains similar provisions to this effect. All shareholders of listed companies are to stand on equal footing. This is the basic reason why when there is to be a takeover, a mandatory offer must generally be made to all the shareholders. Additionally, when there is a change in the majority shareholding in a company, the new majority shareholder may wish to take the company in a different direction or otherwise make changes that minority shareholders may not agree with or which they may believe will make their shares less valuable. As such, they ought to have the opportunity to determine whether to accept or reject a takeover bid. The Jamaica Stock Exchange can however waive this requirement, provided there is no objection from the Financial Services Commission (“FSC”), if it can be proven that one of the exceptions listed under the Rules has been established. One such exception is if the takeover is in pursuance of a rescue operation. WHAT IS A RESCUE OPERATION? The term “rescue operation” is not itself defined in the Rules. A rescue operation is essentially a takeover grounded on the basis that the listed company is suffering serious financial constraints and needs saving. According to Part 6(2)(t)(iii) of the Rules, if a Junior Market Company is experiencing serious financial difficulty, and an urgent rescue operation is proposed to save it, the JSE may grant a waiver of the requirement for the rescuer to make a mandatory offer under the provisions of paragraph (t) on the recommendation of the Board of Directors and professional advisers of the Junior Market Company in question. Similar provisions regarding the waiver of mandatory takeover requirements on the basis of a rescue operation exist in other jurisdictions such as the United Kingdom, Hong Kong Special Administrative Region and Malaysia. Although, the SSL/C2W rescue operation is a first for Jamaica, the “rescue” of listed companies is quite common place in other jurisdictions. HOW DID SSL EFFECT THIS RESCUE? SSL had to provide evidence to satisfy the regulators that C2W was experiencing financial distress. This did not mean that C2W was to be declared insolvent within the meaning of the Insolvency Act but rather that evidence was required to effectively show that C2W would have dire chances of or serious difficulty remaining as a viable business for the foreseeable future. The Rules refer to an “urgent rescue operation”. No further guidance is however provided in the Rules as to the expected timeframe. SSL therefore had to convince the regulators that it could initiate and carry out its rescue operation with alacrity. SSL’s proposal had to include evidence of its ability to execute the rescue in a timely manner and that the operation was not some hopeful future prospect. Such evidence would include a letter of undertaking providing an assurance of the payment of the funds needed to execute the rescue or other evidence of immediately available funds. SSL made a proposal to the Board of C2W to purchase a majority shareholding from the two largest shareholders in C2W, which would bring SSL’s total shareholding to 80%. This proposal was conditional on the approval of the JSE and FSC as a rescue operation. The Rules do not specifically state what such a proposal should include, however it should contain sufficient information in order for the Board to make a reasonable assessment and a grounded decision. The Rules state that the waiver of the mandatory takeover requirement may be given subsequent to the recommendation of the Board of Directors and professional advisers of the listed company. In this case, these “professional advisers” were namely the company’s auditors. The Board would evidence its recommendation by the passing of a board resolution. Though the Rules do not detail any further documents or requirements that must be met for the JSE and FSC to approve/not object to a rescue operation, it is certainly within the purview of the regulators to request such information as they may deem necessary before granting the waiver. For instance, the regulators may wish the rescuer to provide a fair value assessment of the shares from an independent third party, so as to be satisfied that the shares are being sold for a fair price. This is so despite the fact that the offer will not be made available to all shareholders. Arguably, if the price being paid for the shares was too high, then shareholders who were not given the opportunity to sell their shares could be disgruntled. The regulators may also ask that the rescuer provide a detailed business plan, so that there is clear evidence that the rescuer will not simply inject capital but that it has considered a strategy for making the company profitable. According to its press release of August 27, 2018, effective August 8, 2018, C2W Music Limited’s name was legally changed to SSL Venture Capital Jamaica Limited (“SSL Ventures”). SSL Ventures will focus on making investments in new businesses and small to medium sized enterprises with the aim of growing each company to a level where it will be ready for a trade sale or IPO on the Junior Stock Exchange. Quite a change from the business of music publishing. Whether you are the rescuer or the company being rescued, the process involves navigating the Rules and Regulations, extensive communication with the regulators and the shareholders of the target company while balancing the requirements of timely disclosures with the confidentiality required to guard against prejudice and the creation of a false market. Of course this cannot be undertaken without the assistance of professional advisors, not least of whom is a diligent attorney. 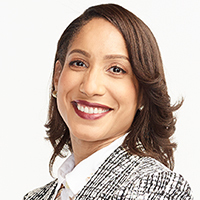 Simone Bowie Jones is a Partner at Myers, Fletcher & Gordon and is a member of the firm's Commercial Department. Simone acted for Stocks and Securities Limited in the transaction discussed in this article. She may be contacted via simone.bowie@mfg.com.jm or www.myersfletcher.com. This article is for general information purposes only and does not constitute legal advice.